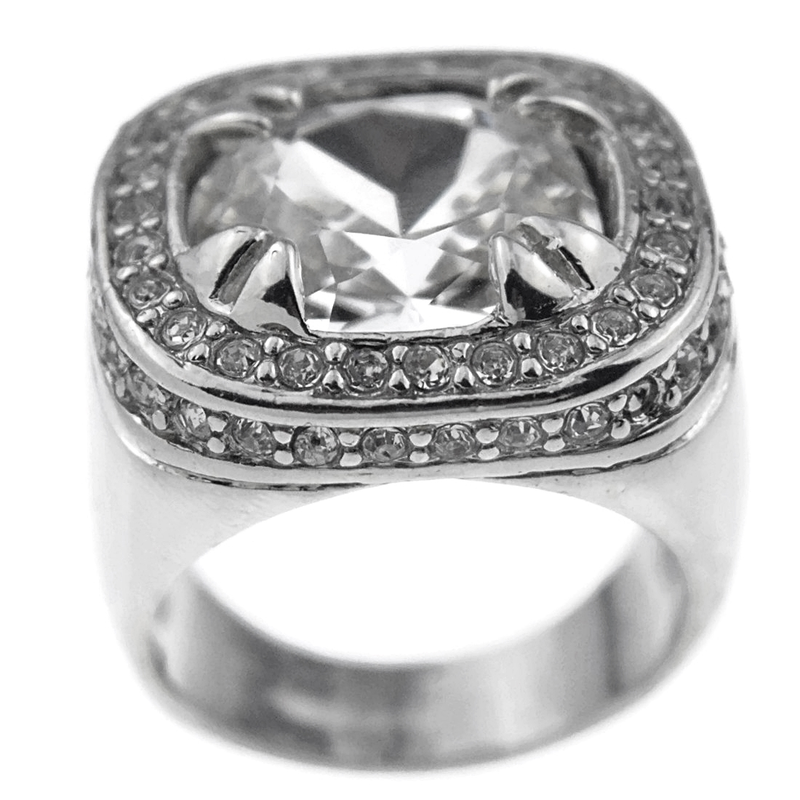 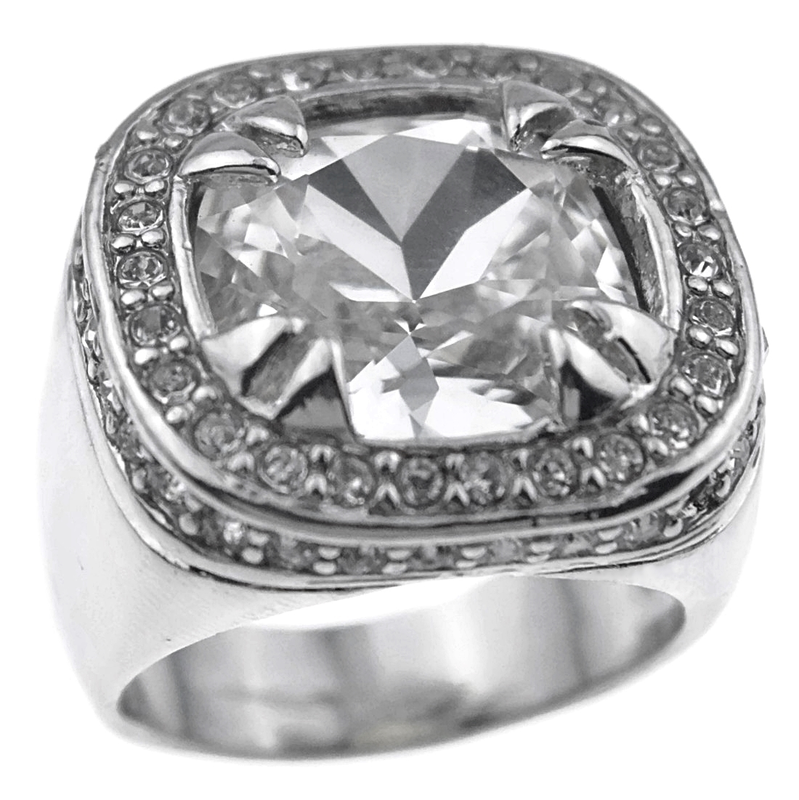 Dazzling big and bold huge clear stone, silver tone, hip hop style men's ring available in US sizes 7-12. 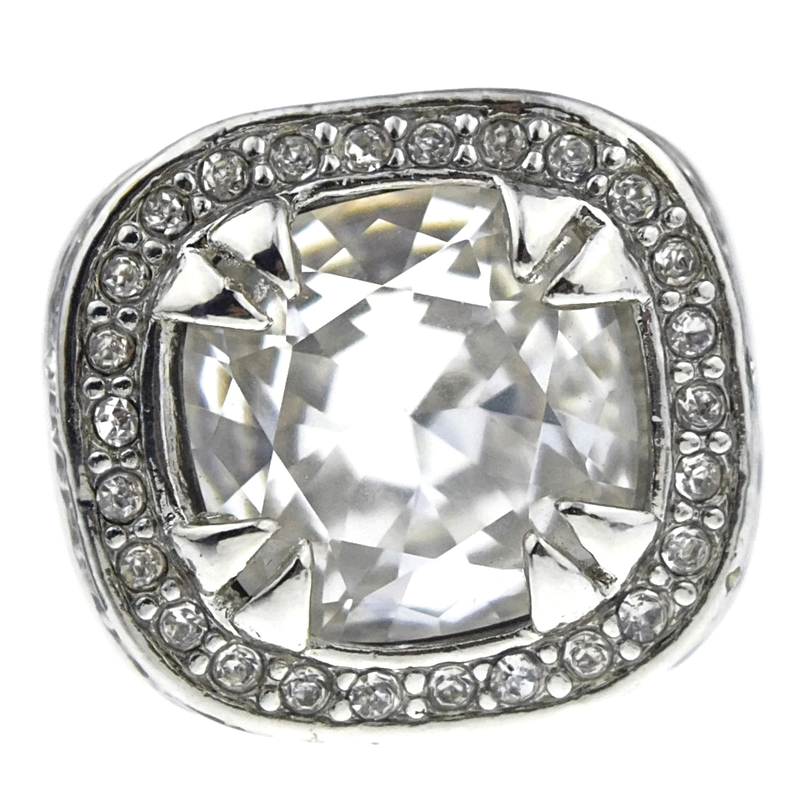 Iced-out with sparkly clear stones and features a large center clear stone set in massive prongs. 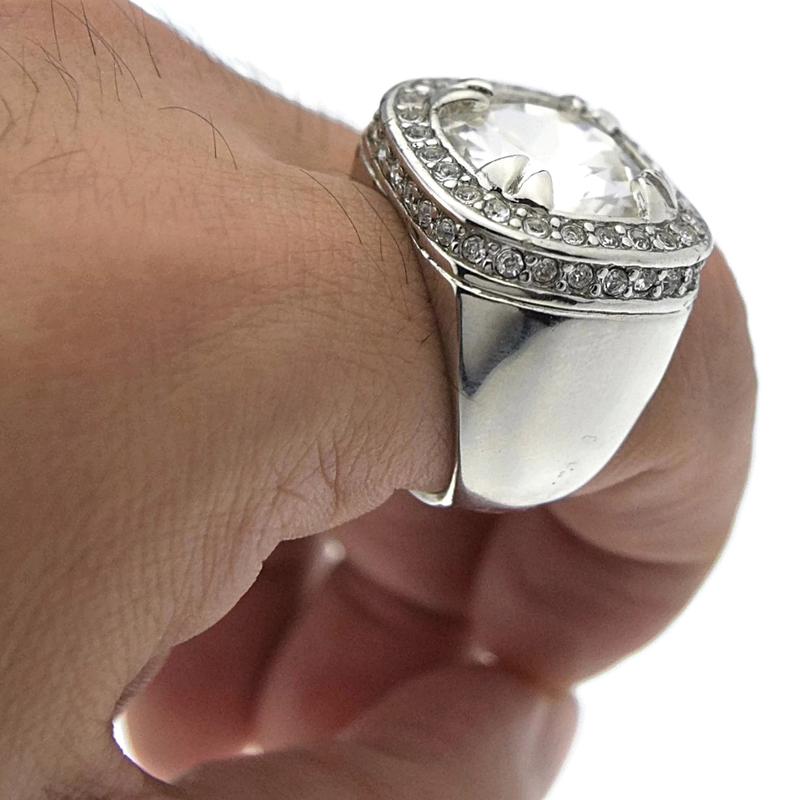 These bold men's rings look awesome on the pinky finger or on any finger of your choice. 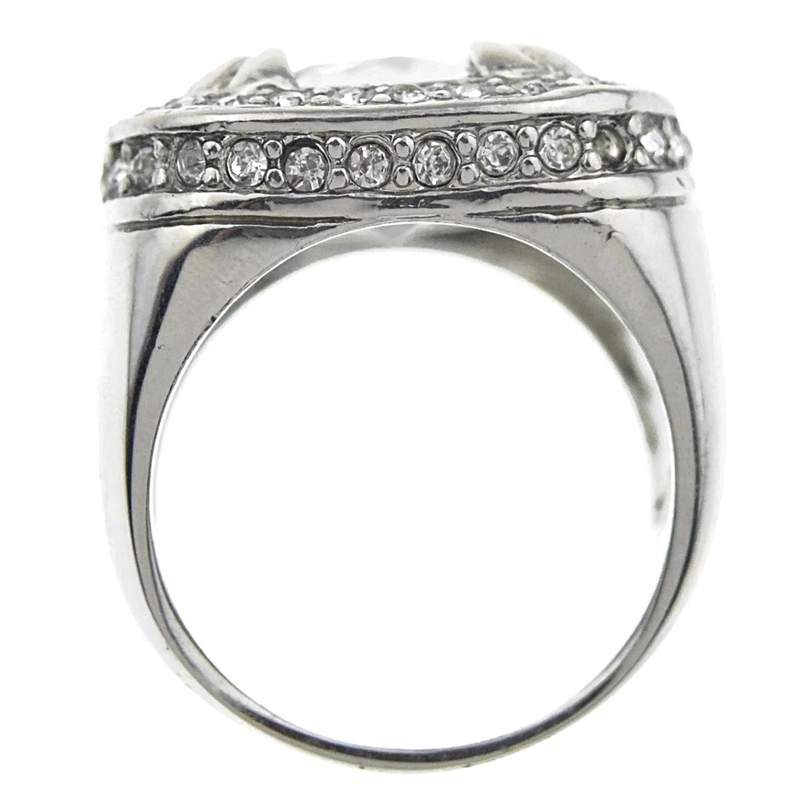 Measure 24mm wide on the face and 8mm wide in the back of the band. Heavy base metal core, weigh 20 grams.